MORRISTOWN, NJ. The trees are tapped and the firewood is chopped - it’s maple sugaring season at the Great Swamp Outdoor Education Center in Chatham Township! Join fascinating, hour long, maple sugaring demonstrations this January & February at 1 p.m. and 2:30 p.m. on the following dates: January 19, 20, 26, 27, February 2, 3, 10, 16, 17, 23, & 24. Experience the entire process from tree to pancake-topping treat. Watch as staff identifies and taps maple trees and collects the flowing sap, and witness syrup making over a wood-fired evaporator. 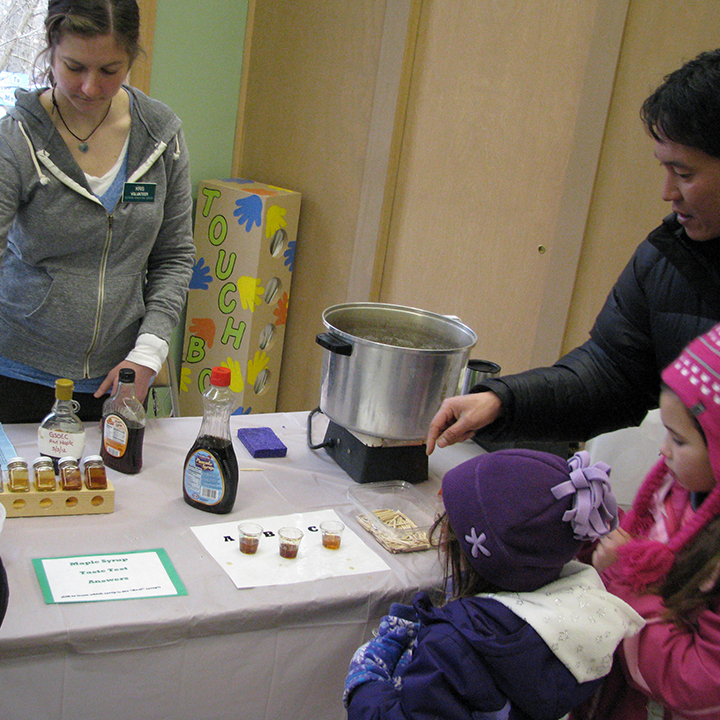 Best of all, taste-test the Great Swamp’s own homemade syrup. Learn to appreciate the quality differences, and the process that is required to make this tasty treat. Demonstrations are fascinating and fun for all ages!